TERMS AND CONDITIONS FOR HOLIDAY AIRPORT PARKING LTD.
Read terms and conditions carefully. In case of any complaints or queries, details have been in these terms and conditions. The organisation shall mean Holiday Airport Parking Ltd.
`Vehicle` will mean the Vehicle which is collected by Holiday Airport Parking Ltd. The Holiday Airport Parking Ltd driver is recruited to meet Customers and take their cars to and from the airport and Car Park. We do not save credit card information nor do we share customer information with any third party. The Company can accept the liability in terms of any loss, theft or damage to the passenger`s Vehicle, or its contents, that may arise only where the same is proved and to the extent that it is proved to be caused by their negligence and only if the loss, or damage, is reported before the Vehicle is driven away from the airport. We are only responsible of our genuine faults. The Company will not accept the liability of any damage to Vehicles or other property arising from acts of nature at the Car Parks` open-air surface operations. Nor will the Company accept responsibility for damaged windscreens or other glass. The Company does not accept responsibility for any mechanical or electrical failure to Vehicles whilst in its custody. Nor will the Company accept responsibility for damaged or punctured tyres, only where the same is proved to be caused by their negligence. If you park longer than the period you have booked for, we will charge you the full daily price that applies at the time. But we will consider your vehicle to have been abandoned if you do not claim it at the end of your booking period. We may then make arrangements for disposal to cover our cost. As a last resort this may mean selling your vehicle. The Company cannot be held responsible if the Customer loses their return instructions or informs a third party of their password, and this is presented to the Company by a third party who uses it to fraudulently take delivery of the Vehicle. The Customer accepts that Vehicles are left with the Company entirely at the owner`s risk whilst stored in the secure parking facility. Remove all your belongings from the vehicle, in case you intend to leave variables in the car inform the driver who will fill a form with you and issue a receipt. Customers are advised to allow sufficient journey time to arrive at Luton Airport at the meeting time. The Customer must ensure they contact Holiday Airport Parking Ltd and advise the Company upon arrival on telephone numbers provided at the time of booking. A minimum of 10 minutes’ notice is required for your car to be delivered. Holiday Airport Parking Ltd cannot be held responsible for any costs or inconvenience incurred when not following the instructions provided by the Company. If for any reason the Customer misses their outbound flight they must contact Holiday Airport Parking Ltd immediately. At certain times the Company may not have drivers on shift and so will return the Vehicle as soon as is practically possible. If the Customer`s return flight is delayed, cancelled or altered in any way they must inform us. No responsibility is accepted for costs or inconvenience incurred by the Customer due to returning on any day or time other than that on the booking form. On occasional days (some Bank Holidays etc.) the facilities of Holiday Airport Parking Ltd is limited. On these occasions the Company might charge an additional fee for car delivery. Customers must inform Holiday Airport Parking in case the flight is delayed or coming earlier than expected otherwise a penalty of £10 will incur. Customers must adhere to any instructions given by the Company staff or agents. The Company reserves the right to refuse parking services to any persons who, in their view, are causing, or may cause a risk or subject Company staff to verbal or physical aggression. A confirmation of Booking does not entitle the Customer, unless otherwise specified, to priority over other Customers. The Customer`s password must be retained as identification of the right to drive away the Vehicle on return, since in the absence of acceptable identification, the Company reserves the right not to release the Vehicle. A booking may be cancelled at any time by the customer after confirmation and prior to the date for which the service has been reserved, subject to a sliding scale of cancellation charges that will be applied. If the booking fee was paid by credit card / debit card, the booking fee of £2.00 will not be refunded. 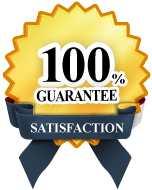 It is the Customer`s responsibility to check the Vehicle for damage upon return. Claims cannot be considered once the Vehicle has been returned to the Customer and the Company&apos;s representative has left the return location. Should the Vehicle suffer damage whilst in the care of Holiday Airport Parking Ltd, or should any possessions be missing from the Vehicle whilst it is in Holiday Airport Parking Ltd care, the representative should be informed immediately of the occurrence. Written notice, via email only, containing full details of the occurrence should be provided to our Customer Service Manager. An investigation into an incident can commence but not be concluded until written notice has been received. No claim for damage or loss will be entered into, whatsoever, if a written complaint is not received within 7 days from the collection of the Vehicle. Before submitting a claim to the Company, Customers are required to check Condition No 2 and to satisfy themselves that the subject matter of their claim falls within the Company`s area of responsibility. Failure to comply with the above procedure may prejudice the Customer&apos;s position and it should be noted that our Report Form makes no representations as to the Company`s liability. The Customer must ensure that, before leaving the Vehicle with the Company that it is in a roadworthy condition, taxed and holds a current MOT certificate valid for the duration of the booking if applicable. The Company reserves the right to move the Vehicle, within or outside the Car Parks, by driving, or otherwise to such extent as the Company may in their discretion think necessary for the efficient arrangement of its parking facilities at the Car Parks, or in emergencies or to avoid accidents or obstructions. Ignition keys and any alarm and immobiliser codes to the Vehicle must therefore be left in the Vehicle at the time of handing it over to Holiday Airport Parking Ltd driver. It will be necessary in the exercise of the rights conferred upon the Company under this condition, for the driver to have the right to drive or otherwise take the Vehicle on to the public highway. 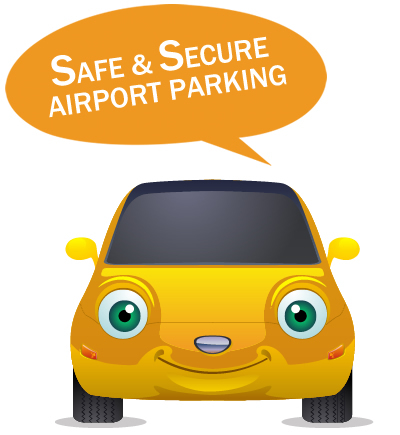 The Holiday Airport Parking Ltd drivers are fully insured by the Company for this purpose. The Vehicle will be moved to the storage compound as soon as is practicable. The maximum distance travelled is 10 miles. On occasion the Vehicle may be moved to a different compound when operationally necessary. The Vehicle will be checked for damage upon arrival, the Company does not record minor damage i.e. stone chips, scuffs, scratches of less than 6 inches, dents smaller than a 3 inch diameter or interior damage. If the weather conditions, bad light, dirty Vehicle etc. prevent a full body inspection, then Holiday Airport Parking Ltd accept no liability for this car. The Customer must notify the Company&apos;s driver of any special driving attachments or car features such as disabled driver controls, key codes, immobilizer, special starting instructions etc. as the Company will not accept any liability for damage resulting from driver`s lack of familiarity with them. Every Vehicle in the Car Parks or being serviced by the Company is subject to a lien for all charges due or accruing from the Customer to the Company, and a general lien for all and any monies due from the Customers to the Company such liens to be in existence whenever the Vehicle is in the Car Parks, notwithstanding that it may from time to time have been removed. If the said lien is not satisfied by the payment, within 28 days of notice given by the Company of its intention to sell the Vehicle in default of payment, the Company may sell the Vehicle by auction or otherwise and the proceeds of sale may be applied in and towards satisfaction of all sums owing to the Company by the Customer together with the expenses of the sale, and in connection with such sale the Company shall be entitled to charge reasonable garage charges in respect of the period during which the Vehicle is in the possession of the Company. Any balance of purchase price remaining after satisfaction of such sums shall be held by the Company on behalf of the registered owner of the Vehicle. Notice of intention aforesaid shall be deemed to have been properly and sufficiently given by the sending of written notice by prepaid post, addressed to the registered owner at his known address, whether or not the same is actually received. Every person who enters into a contract with the Company for the parking of a vehicle in the Car Parks do it on behalf of themselves and all other persons having any proprietary, possessory or other financial or material interest in the vehicle.